A lot of the work at WMNF gets done by the efforts of the station’s committees. Serving on a committee is a great way to learn how WMNF operates and how we make decisions. You can help make community happen. All WMNF committee meetings are open to the public, with the exception of some Personnel issues covered by the Personnel committee. If you need to get in touch with the chair of a committee, email them or call our office at 813-238-8001. WMNF is located at 1210 E. Dr. MLK Jr Blvd, Tampa, 33603. We are ADA compliant. Meets the first Tuesday of the month, 6:30 p.m. to promote volunteering, encourage volunteer participation at the station, and to represent volunteers on various committees and on the Board of Directors. Meets third Monday of each month, 7:15 pm at the station. Call 813-238-8001 to confirm time and location. 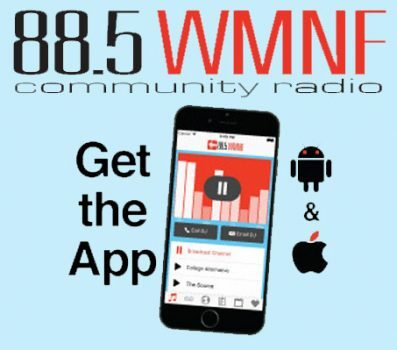 Meets periodically to provide a community forum to monitor the station’s broadcasts and evaluate how WMNF is meeting the needs of the community at large. Meets bi-monthly to ensure the representation of diverse cultures and perspectives throughout the station. Meets the second Tuesday of the month WMNF unless otherwise notified (to organize the time, talents and treasures of the WMNF family to encourage financial support and ensure funds are available as the station grows. Meets as needed to codify and update all policies, employee manual, bylaws, governance documents, programmers agreement and any other official documents. Meets as needed to supervise and oversee the financial health of WMNF. Always meets prior to the full board meeting, starting at 6pm. Accepts nominations and applications for board service. Please call the station at 813-238-8001 to confirm the day, date and time of any meeting you’re interested in attending.